Round two of the Yorkshire Cyclo-Cross Association 2015/16 winter series, the John Stevenson Memorial Cross, took place at Hambleton Leisure Centre, Northallerton last Sunday. Despite rain on Saturday, sunny and fast conditions greeted the 350 riders as they signed on. 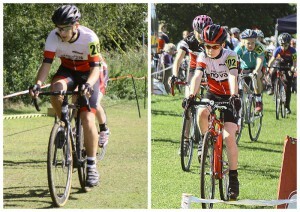 In the Youth race, Louis Mason and Charlie Lehan battled it out with seventy other riders, with Louis having a solid ride to finish as 22nd Under-16, and Charlie finishing as 13th placed Under-14. In the Senior race (incorporating the men’s Senior/Junior/Under-23 and Vet-40 competitions), Paul Oldham, Hope Factory Racing, made it two wins out of two, beating round one runner-up and team mate Jack Clarkson by a quarter of a wheel in a sprint finish. Behind the leaders, there were plenty of other battles going on around the twisty technical circuit. 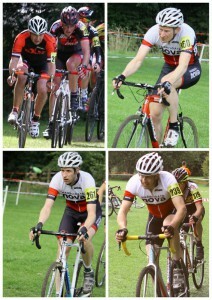 Dave Morris was the first Nova rider home, finishing just outside the overall top twenty as 6th placed Vet-40. Richard Hamilton claimed 13th placed Vet-40, just ahead of Paul Lehan in 17th for the age category with Ted Sarimento 38th. Charles Cuss took 17th place in the Senior race. After an excellent start, Rob Senior punctured and was unable to complete his race. Edwyn Oliver-Evans took ill en route and also pulled out. Get well soon Ed. In the Women’s & Veterans race (incorporating the Senior, Junior and Veteran Women’s races as well as the Vet-45 and Vet-50 plus men), Nick Mason had another excellent race, finishing in 16th place overall, and as 7th Vet-50. Andy Holgate took 14th place in the same age-category, with Tim Evans in 22nd. 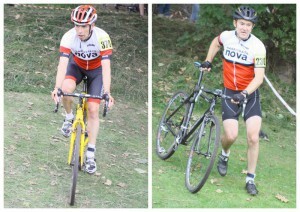 Cross newbie Richard Salden rode to 18th placed Vet-45 and Kirstie Hamilton took 5th in the Ladies Senior competition. Round three of the Yorkshire Cyclo-Cross Association 2015/16 winter series took place at Thornes Park, Wakefield on Sunday. With a dry course, the 440 riders were challenged by rooty, loose off-camber sections through the woods where mountain bike handling skills came to the fore. 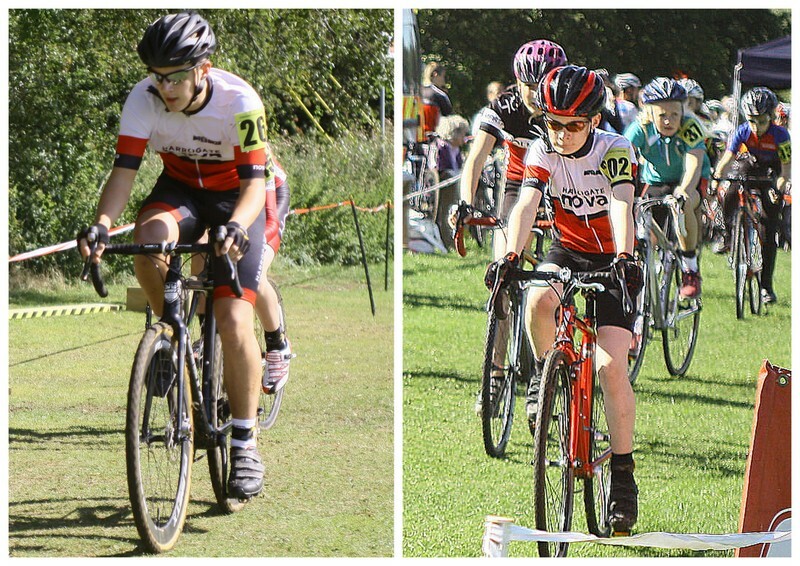 In the Youth race, after an excellent start – 5th going into the woods – Louis Mason slipped back a little in the strong field, finishing as 15th Under 16. In the Senior race (incorporating the men’s Senior/Junior/Under-23 and Vet-40 competitions), Paul Oldham took a third series win, ahead of Hope Factory Racing team mate Jack Clarkson. Charles Cuss was the first Nova rider across the line, finishing in 24th place in the Senior competition. In the Vet-40 category, Dave Morris placed 13th, with Ted Sarmiento in 32nd. Unfortunately, a crash ended Richard Hamilton’s race, and a broken collar bone also means the end of his ‘Cross season. Get well soon Richard. In the Women’s & Veterans race (incorporating the Senior, Junior and Veteran Women’s races as well as the Vet-45 and Vet-50 plus men), Nick Mason’s excellent season continued, claiming 10th placed Vet-50. 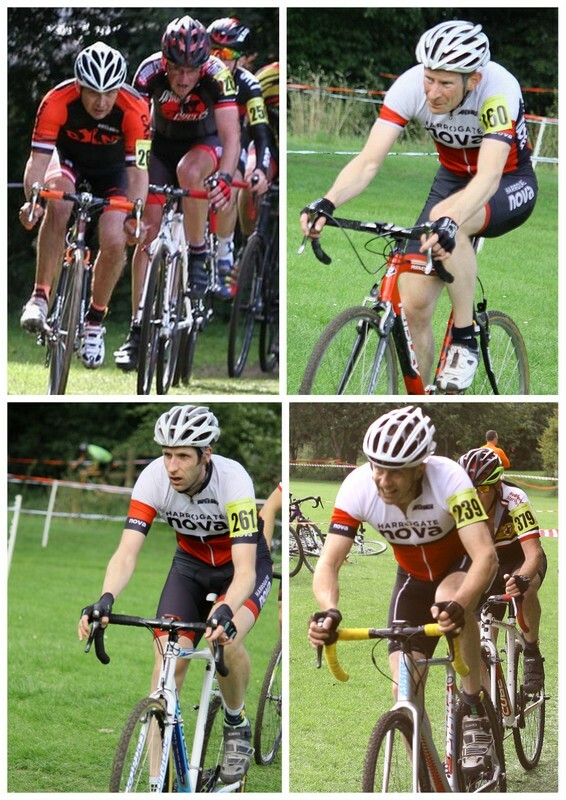 Andy Holgate’s mountain bike skills gave him 12th in the same age category, with Richard Salden 20th placed Vet-45. 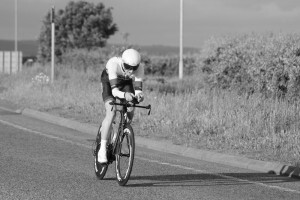 Event two of the Prologue Circuit Series at Dishforth on Saturday afternoon saw Harrogate Nova members in the points again with Andy Stenson placing fourth and Matt Dalby 6th in the Fourth Cat race. 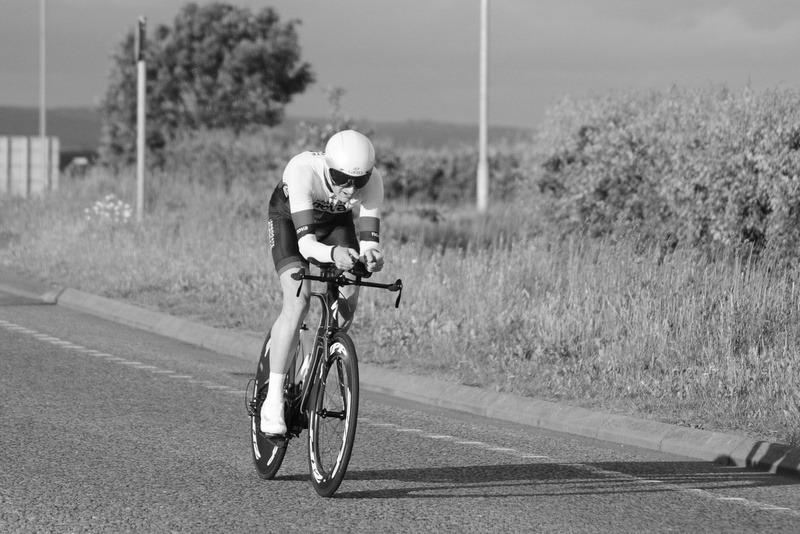 In Open Time Trials, Roger Bromiley and Richard Salden were in the money last weekend, both winning prizes for lowering their previous 25-mile bests at the Seacroft Wheelers event on the V236/1 course near Topcliffe. Roger recorded 56:17 and Richard 57:49. In the same event, Tony Kent stopped the clock at 59:06 and John Tiffany at 1:06:02. At the Team Swift 10-mile event on the V718 course near Hull on Saturday afternoon, Mike Hudson clocked 21:16 – his second fastest time over the distance, Tony Kent recorded 21:18, John Tiffany was one second off his own personal best with 24:15. 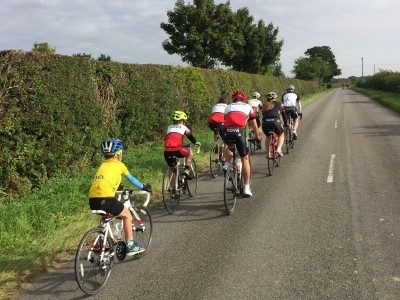 The September Club Social Run, organised by Fran Varley, took riders on a steady 40-mile route from Harrogate to Knaresborough, Little Ribston, Cowthorpe, Long Marston and Askham Richard, before turning west to Wetherby, and heading back to Harrogate via Spofforth. Younger members of the Mullier and Beagley families joined the ride, with 12-year old Matthew and 7-year old James enjoying the outing.